Dear Modern Farmer: How Do I Legally Start a CSA? Dear Modern Farmer: I've been growing fruits and veggies for my family, but would like to start selling farm shares through a CSA. How do I get started? Assuming you are talking about a single-farm/producer model — where you are the only farm involved in growing and producing the food and do not use any other employees and/or volunteer labor — there are a few things you will want to consider first. Business structure/legal entity: I’m going to assume that you are not otherwise already operating as a commercial farm entity/business. As with forming any small business, it is a good idea to think about what kind of business structure/legal entity makes the most sense for your particular situation. The primary types of business models include sole proprietorship, corporation (C or S), partnership, and limited liability company (LLC). There are many reasons why you might choose one type of legal entity over another. For instance, a sole proprietorship does not usually require the filing of any separate business or tax forms – and so are easier and cheaper to form and operate – but they offer less liability protection. Alternatively, an LLC might be a good option, but you will be required to file certain documents (usually with your state secretary’s office), like the initial articles of organization and annual reports each year, and these filing fees can often be several hundred dollars per document. Tax preparation and certain kinds of beneficial tax treatment also vary depending on what kind of entity you establish, with some being more complicated than others. Moreover, if you ever have employees that work for you as part of the CSA, the kind of legal entity you need might be different. In some instances, local zoning laws could pose a problem for getting your veggies to subscribers. While operating a CSA is obviously not the most risky endeavor, here’s an example of where the type of legal entity might come into play. Suppose your CSA business incurs some business debt or a CSA subscriber has a beef with something you’ve done or not done, maybe they even get food poisoning from something you distributed (admittedly a remote possibility). Depending on the kind of legal entity under which your CSA operates (if any), you could potentially expose yourself to becoming personally liable for such debts or misconduct (i.e., if you operate as a sole proprietorship or partnership), or your personal liability might be limited in some fashion (i.e., with a limited liability company or corporation). Practically speaking, much of choosing the best legal entity to meet your needs boils down to 1) what level of risk of potential personal liability are you comfortable living with; 2) how much time and money are you willing/able to spend to form and maintain a legal entity year to year; and 3) what kind of tax benefits/burdens make the most sense for your endeavor. Starting with one kind of legal entity does not preclude switching later on as your needs evolve. Because the nuances of each type of legal entity are varied, it makes good business sense to consult a local attorney familiar with forming small businesses as to how best to proceed. And, no matter what type of entity you choose, it is also a good idea to check with your city/town clerk’s office to see if there are additional business filings or licenses you need to make in order to conduct business in your community. CSA Agreements: I suspect that a good portion of existing CSAs (like the one I belong to) operate without any kind of signed written agreement between the farm and its subscribers. Often, the sign-ups just specify how many weeks are included in a full or half share, a description of the contents of a typical week’s box, and the price for such shares. You send your check in and then you start getting boxes of veggies. This is certainly pretty straightforward and an easy way to go, but, in my opinion, I don’t think this is a good business practice. I also don’t think it’s always clear to subscribers, particularly those not already familiar with CSAs and/or the risks inherent in growing food year to year, what to expect. Some folks might not understand that, despite their payment many months in advance, they are not going to get as many vegetables if there is a particularly tough growing year. So, once you’ve fleshed out your business model, what items you’re going to offer, pricing structure (cost per share, number of weeks, box/bag size, etc. ), and have found some folks interested in sharing the risk of growing produce, herbs and/or flowers, you may want to have each CSA subscriber sign a simple agreement so that it is clear (for both of you) about what the expectations (and risks) are for the CSA season. New York attorney Cari Rincker already covered this topic quite nicely in a blog post last year, and so I won’t re-invent the wheel here. Another good model member agreement to get you started can be found here via the Illinois Direct Farm Business (IDFB) website (Note: Attorney Rincker favors the term “subscriber” while others, like IDFB, use “member” or “shareholder”; I take no position on the terminology here). This publication from the University of Connecticut/USDA also has some good information about what kinds of things might be added in a CSA agreement. Again, since this is essentially a contract that you are preparing, it might be worth it to run it by your attorney before putting it to use with subscribers. The last thing any farmer wants is for someone to get sick from her food. Distribution: In some instances, local zoning laws could pose a problem for getting your veggies to subscribers. Ideally, it is probably easiest if your subscribers can come to you. However, if you are looking to have on-site distribution, you must be certain not to run afoul of whatever restrictions exist in your zoning district. For example, to the extent that your CSA is considered a “commercial” enterprise, on-site transactions (even those that are paid in advance of the growing season) might be prohibited, particularly in many residential zones. Whether you go with a simple box pick-up model, or some kind of pick-your-own arrangement, depending on the number of subscribers, it could create an increase in traffic that is not favored by your neighbors, potentially resulting in complaints. If you are not legally allowed to distribute shares on-site, you could be asked to stop by local officials, so check first. Even if you are allowed to operate your CSA business on your property, be sure that you are able to follow whatever parking regulations might exist and maintain distribution hours that do not create a nuisance for your neighbors. Incidentally, having subscribers come to your property, particularly if they stay to pick their own veggies for the week’s share, does open up some risk of liability should anyone get hurt while on your property. You may want to explore insuring your business and property against that risk. If you are not permitted to conduct on-site distribution, you will have to find a suitable, alternative drop-off location (assuming you do not want to engage in deliveries to each subscriber). One alternative might be to distribute shares at your local farmers market; be sure to get permission from the appropriate individuals first. Alternatively, some businesses and churches are willing to allow distribution at their sites, with the added benefit of also providing a built-in subscriber base should you need additional subscribers. Food Handling, Storage and Safety: I am sure it goes without saying that you must handle, label, process and/or store all food products in accordance with existing state and federal regulations that apply to your farming and CSA enterprise, and the types of food you plan on offering. You should also be aware that these regulations could potentially become even stricter and harder for small farms and CSA programs to comply with, especially if multiple farms are involved with the CSA (proposed changes to the Food Safety Modernization Act, anyone?) The last thing any farmer wants is for someone to get sick from her food. So check in with your local agricultural extension office or your state department of agriculture for guidance about what food safety rules currently apply. Miscellaneous: A CSA program is a form of direct marketing from farm to consumer that has countless benefits on both sides of the equation. 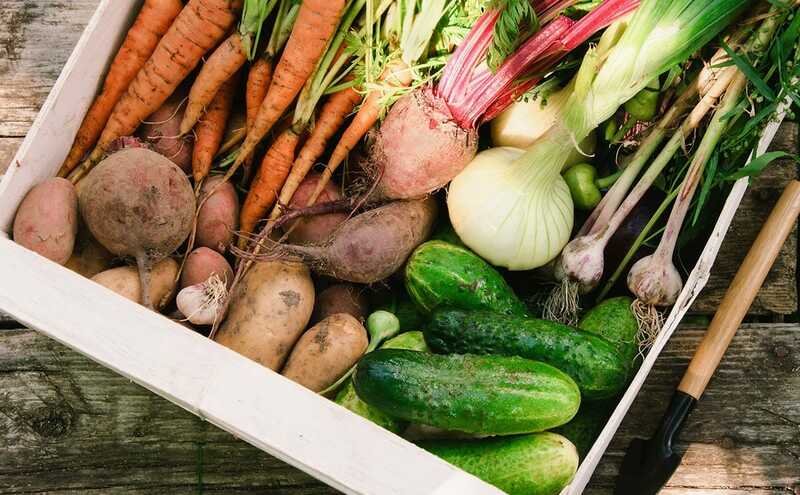 But, given the growing popularity of CSAs across the U.S., some states are starting to develop regulations in this area and you will need to pay attention accordingly. Take California, for example, which in September 2013 passed legislation that now requires CSAs to 1) register annually with the state (including with a declaration that “he or she is knowledgeable and intends to produce in accordance with good agricultural practices, as outlined in the small farm food safety guidelines”); 2) label their CSA containers/boxes; 3) maintain those containers in a way that prevents contamination; 4) inform the consumers (printed or emailed list) of the farm(s) of origin for each item in the container; 5) maintain records that document the contents and item origins; 6) comply with additional requirements for shell eggs (if distributed); AND pay an annual registration fee of no more than $100. Comparatively, Oregon has a set of rules regarding farm direct marketing which may apply to CSAs in some instances. I expect that many other states will follow suit if they can get away with it without much opposition. Fortunately, not all of the interest in CSAs is necessarily generating negative implications for farmers. I was inspired to see this policy platform out of Atlanta that aims to make CSAs easier to operate, not harder. Again, all of this advice is for the model you currently have in mind. If you were ever to expand your CSA program to include employees and/or volunteer help, or perhaps work with additional farms to increase the amount of shares/products offered, then there would be some additional considerations. There is a ton of good information out there, and I’ve provided some of it below. Your best bet is to reach out to agriculture-friendly officials and nonprofits in your area to get started, and seek out legal counsel when you are ready to get growing. Good luck! Kristen M. Ploetz, Esq., is a zoning/land use attorney and Founder/Manager of Green Lodestar Communications & Consulting, LLC (www.greenlodestar.com).